Are there Any Link between Genetics and Having Tonsil Stones? Individuals who suffer from tonsil stones often wonder where their condition came from. Despite many years of studies, clinical researchers have not yet been able to identify the exact cause of having tonsil stones. 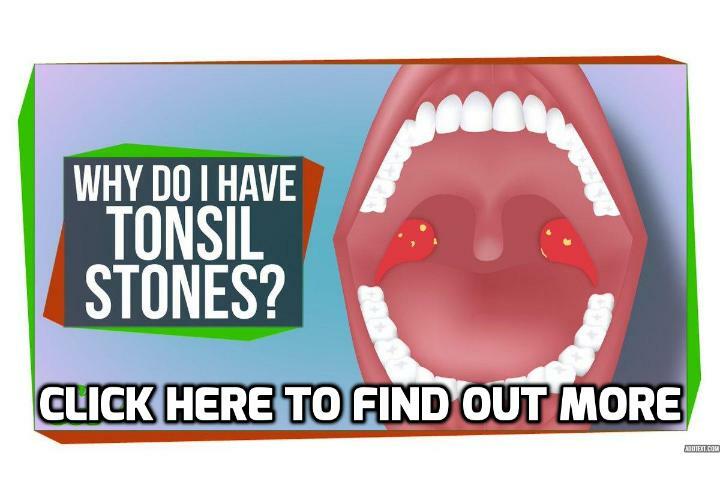 However, several contributing factors such as pre-existing health conditions and possible genetic influences seem to influence a person’s likelihood of having tonsil stones. Although having tonsil stones are not caused by genetics, several genetic factors may affect the shape and size of the tonsils, which influence the likelihood of these organs harbouring debris and forming tonsil stones. As a result, tonsil conditions such as having tonsil stones may run in families to a moderate degree because of tonsillar structure. Your palatine tonsils are a pair of oval-shaped structures that are positioned on either side of the back of the throat. These structures are covered by pink mucosa that contains channels and pits that are commonly referred to as the tonsillar crypts. Bits of debris such as food particles, dead cells, mucus, and microorganisms can accumulate in these crypts and begin to decay. If this situation persists, small and pale masses become calcified into hardened tonsil stones. Recent studies suggest that tonsil stones are also associated with chronic conditions that prompt perpetual postnasal drip, such as respiratory allergies and sinusitis. Many allergies have hereditary associations, and these conditions can influence the likelihood of having tonsil stones indirectly by creating the genetic influences of contributing conditions. Additionally, those who suffer from repeated episodes of tonsillar inflammation and tonsillitis are also prone to having tonsil stones. Even if you suspect that genetics may give you a predisposition for having tonsil stones, you can control the effects of this condition by practicing good oral-hygiene habits and by proactively caring for your health. Simple precautions such as using an antimicrobial mouthwash, gargling with warm salt water, and limiting dairy products in your diet can minimize your chances of developing problematic tonsil stones. If you are experiencing problematic tonsil stones, see your doctor for an oral examination. He or she can suggest at-home remedies and may prescribe an antibiotic to reduce symptoms that may be caused by bacteria, such as bad breath. Alternatively, your doctor may recommend that you see an ear, nose, and throat (ENT) specialist for further evaluation. In more serious cases, your doctor or ENT specialist may suggest the surgical removal of the tonsil stones or of your tonsils themselves. Previous PostPrevious What Are the Side Effects of Tonsil Stones? Next PostNext How Do I Develop Tonsil Stones In The Respiratory Tract?